If your business can’t function without computers, chances are you need an IT expert when things go wrong. The next question is, should you have an in-house technician or call in a consultant when necessary? It’s not a clear-cut answer, but here are some of the pros and cons of both. If you have an in-house tech, you know you’re always top of the list priority-wise. Your guy is on site when you need him and can sit at your desk and sort out your IT troubles in no time. When you rely on an independent firm, who most likely has at least one or two other clients, you may have to wait your turn. Putting your problem through a helpdesk means waiting for whichever tech you’re assigned to works his way down the list to you. If you’re a small company, having an in-house IT may not be worth paying a full salary. With fewer computers come fewer problems, so don’t hire a permanent tech if he (or she) is likely to be sitting on their hands most of the day. Most IT consultants charge based on the size of the company, or the number of callouts. They may offer a flat fee based on the number of computers, or charge by services provided – an hourly fee for remote help or onsite help plus callout fee. A significant proportion of IT related problems can be resolved remotely, eliminating the need for an actual callout or an onsite IT guy. Applications such as Teamviewer allow your IT company to log onto your computer and fix any issues without having to be in the same physical location. This saves a lot of time, both for you and your tech, and means you don’t have to try to explain the problem over the phone. 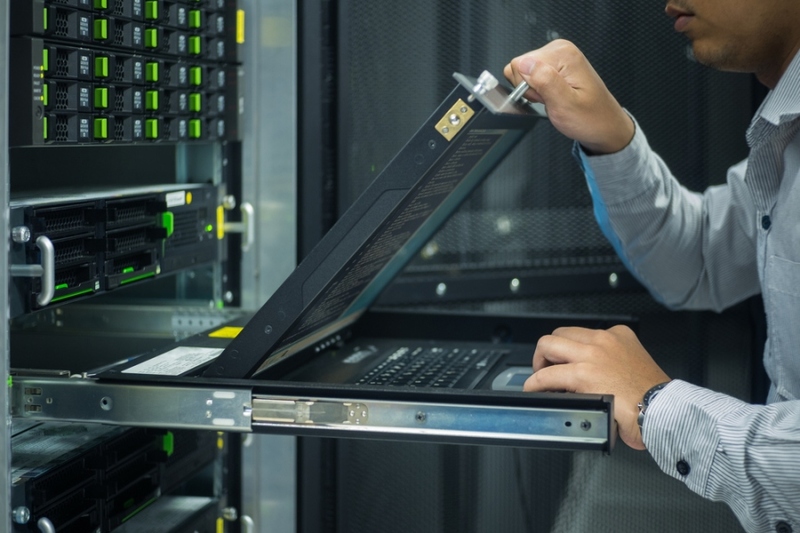 In the rare event of all out, across the board computer failure, you might like the security of having a dedicated tech who can work non-stop to get things back up and running. But, if you have a good consultant, they’ll do their best to get you back online as quickly as possible. The chances of a freak lightning strike frying your whole system are pretty slim, particularly if you have proper precautions in place, so don’t make this the deciding factor. A lot of people like to know that they can call on faithful old Jim (or whatever your IT guy is called) when they have a problem. In some ways this is great, a dedicated tech will be familiar with your system and any regular problems, but people may start to rely on poor Jim too much and stop thinking for themselves. If you hire a single dedicated tech, make sure they’re not over, or underworked – for an IT guy, overworked is far more likely. If you opt for a consultant, find a local company, like Ottawa computer services, so they can attend callouts when necessary.